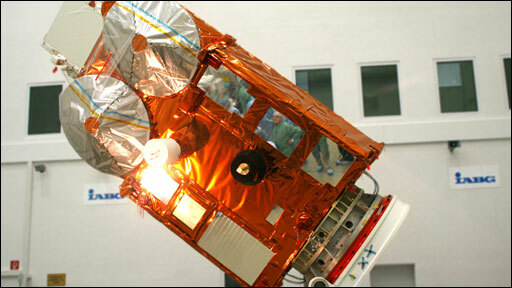 Europe's Cryosat-2 spacecraft is set to launch on its mission to map the world's ice fields on Thursday 8 April. The satellite was due to fly in late February but was held on the ground while engineers investigated concerns about the operation of its rocket. Cryosat will ride into orbit atop a Dnepr vehicle, a converted Russian-Ukrainian nuclear missile. The satellite is designed to make detailed measurements of the shape and thickness of Arctic and Antarctic ice. Its data will help scientists to assess better how changing polar ice conditions affect ocean circulation patterns, sea level and global climate. The Dnepr will lift off from the Baikonur cosmodrome in Kazakhstan. The Russian authorities overseeing the flight have advised the European Space Agency (Esa) they are ready to proceed with the mission. Earlier worries that the rocket's second-stage steering engines might not have enough margin on their performance have been allayed. Richard Francis, the Esa Cryosat project manager, said software changes had been introduced to ensure the Dnepr managed its supplies of fuel and oxidiser in the most efficient way possible, giving the engines sufficient room for contingencies. Cryosat had already been installed on the rocket when the order came to stand down, and was removed during the delay. "We took it off the day after the call was made and moved it back to the cleanroom, and it's been in a secure area ever since. We have a man who goes and monitors it every day," explained Richard Francis. "The planning we have at the moment is to put it back on the rocket on 31 March," he told BBC News. 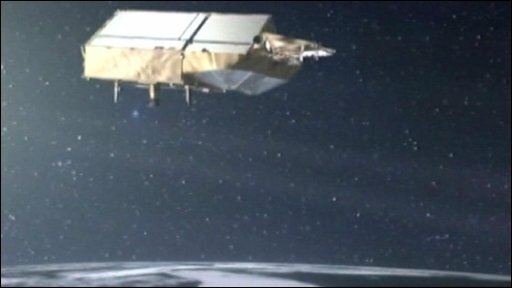 Cryosat carries the "2" designation because it is actually a rebuild of a mission that was destroyed in 2005 when its then launcher (also a converted missile) failed just minutes into its flight. Esa member-states considered its polar ice measurements to be so important to the assessment of climate change that they approved the construction of a facsimile spacecraft within months of the accident. Cryosat's radar instrument will make detailed maps of the ice that covers both the sea and land at the poles. Data from other satellites, such as the US Icesat and European ERS/Envisat missions, has already indicated that some of this cover is diminishing at a rapid rate, with the biggest changes occurring in the Arctic. The mission is part of Esa's Earth Explorer programme - seven spacecraft that will do innovative science in obtaining data on issues of pressing environmental concern. The first in the series, a gravity mapper called Goce, was launched in March 2009. The second, known as Smos, is measuring soil moisture and ocean salinity, and was launched in November.